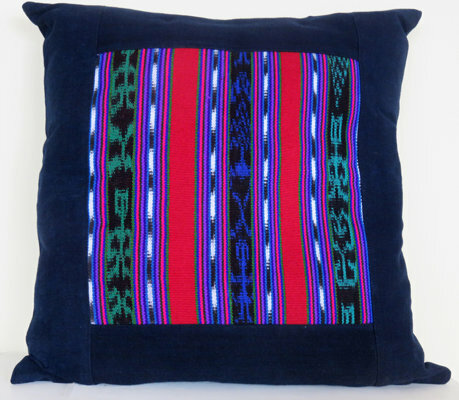 This Manos Cruceñas hand-woven cushion cover features a central panel of hand-woven cloth traditional to the village of Santa Cruz la Laguna on the shores of Lake Atitlán, Guatemala. 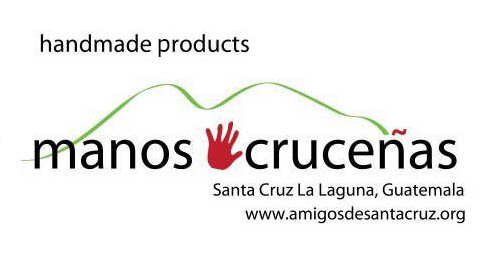 Distinctive to Santa Cruz weavers this colorful woven cloth in a striped motif features stylized human figures that they call muñecas or dolls. Hand-woven by our master weavers these cloth designs are set against a neutral navy blue background and include a hidden zipper closure in the back.